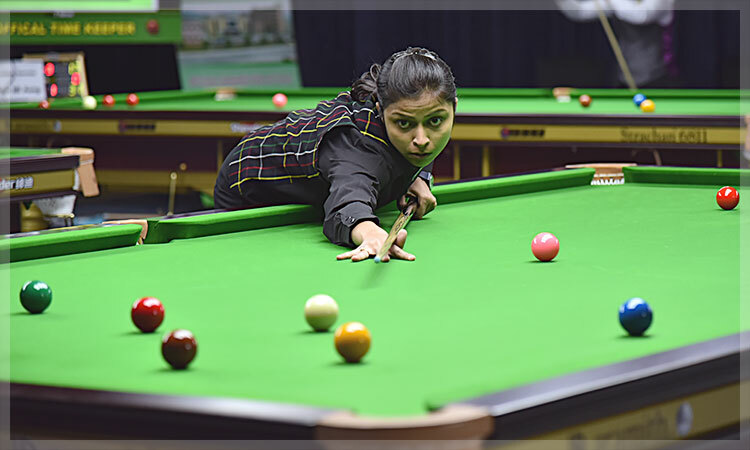 The world governing body for Billiards and Snooker "International Billiards and Snooker Federation", has selected Indian women cueist Amee Kamani to take part in the exhibition tournament "WORLD TEAM TROPHY" to be held in Paris on 11th and 12th March 2019. The event is being organized by executive committee formed by French Federation in association with World Confederation of Billiards Sports is organizing as supportive document for the bid for Paris 2024 Olympic Games. On Indian Republic Day, the Cue Sports fraternity also feeling proud that Indian girl is selected for such a prestigious event. The other two women players selected for this event are Anastasia Nechaeva from Russia and Jessica Woods from Australia. Amee started her career in the year 2010 and in these nine years, she is now in the top league of Women Cueists in the world. Last year, Amee won four international medals for the country. She was winner of Asian Women Snooker Championship and after that she claimed Bronze medals in World Women Snooker & World Women 6Reds, and in World Women Team Snooker, she was silver medallist along with her partner Vidya Pillai. Cue Sports India wishes all these participants and the World Governing body IBSF a great success and hope to see our sport in Olympics 2024 in Paris.